Welcome to limitless happiness with the Toyota Happiness application. 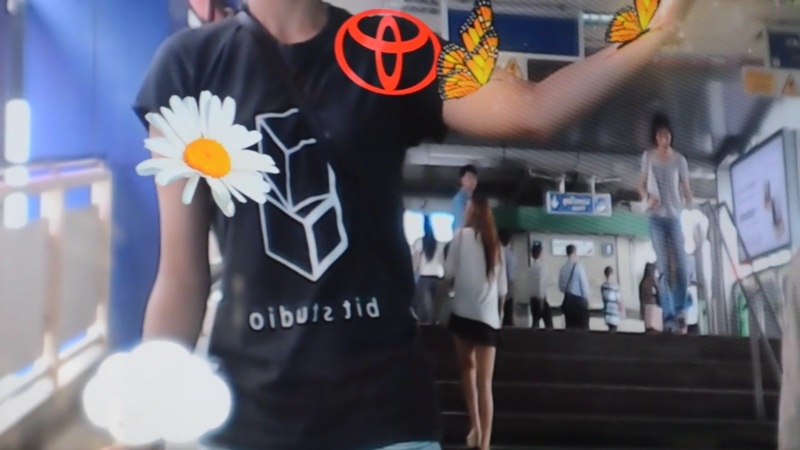 Whenever Toyota is around, happiness turns into live icons that follow pedestrians around the BTS/MRT interchange at Sukhumvit. While standing in front of the screen, the users’ hands will suddenly have the power to change the virtual icons around them into different forms of happiness by simply “touching” them.